…except that he really wasn’t. For four years now, I’ve been teaching international development. One of my first questions to my students is: “If you knew nothing about yourself (e.g. gender, race) or where you would be born, when would you like to be born?” (I think I got this question originally from Angus Deaton?) The students can choose any time from the dawn of humanity to the present day. After a bit of thought, students quickly converge on “now” as the right answer. I like to stress to them that “now” is the right answer not only because the world is wealthier and more people have iPhones. Women are treated far better today than at any time in the past, more people have political freedoms today, and far fewer children die. That final point felt important but abstract until a few weeks ago. Child mortality feels incredibly real now. Thankfully, in being born now and in America, Isaac is damn lucky. By just about any comparison, child mortality is the US is very low. It’s about ten times lower than much poorer countries like Malawi, and it’s also about ten times lower in America today than in the 1940s. Presently, about 10% of children in America with bacterial meningitis die. In the 1970s, the rate was about 50%. Isaac is doing well. He is 13 days into a 21 day course of antibiotics and in his 16th day of life. He is eating well, he is above his birth weight, he has had no seizures, he has no signs of cranial inflammation, and he is doing regular baby stuff. He is expected to make a complete recovery. Untreated, he would have almost certainly died. He is damn lucky to have been born now in America. I’ve known these statistics (well, aside from the ones on meningitis) for some time, but they carry a lot more emotional weight now. Most babies in Isaac’s situation still die. Development is the process of making that not so. Meningitis is pretty rare, so if the thought of babies dying moves you then probably the best thing you can do at the moment is to donate to the Against Malaria Foundation. Giving out insecticide-treated bed nets is one of the most reliable ways of reducing child mortality. At about 6 ½ months old, Isaac is doing very well. He is at or above average on pretty much everything that we can measure. 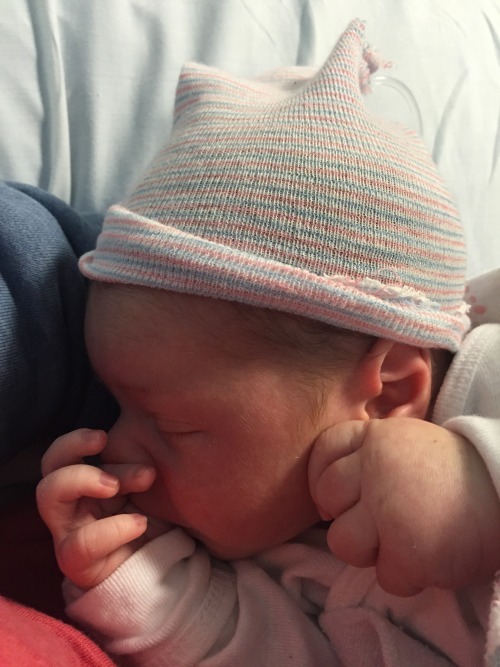 His first month of life was terrifying for us, but he really was incredibly lucky. Thanks to everyone for the well wishes.